Playstation, PS4 and PS VITA are registered trademarks of Sony Computer Entertainment Inc. I acknowledge that I have been informed that, in accordance with Regulation 2016/679 of 27 April 2016, my last name, first name and email address are used by Bandai Namco to send me a newsletter as well as information concerning Bandai Namco’s activities. These data are kept until you withdraw your consent. These data is intended for Bandai Namco services in charge of user relationship management. In accordance with Regulation 2016/679 of 27 April 2016, you have a right to obtain information on your data, a right of access to your data, a right to rectification and erasure of your data, a right to object on legitimate grounds to their processing, and a right to data portability, as well as a right to give specific and general guidelines concerning the storage, erasure and communication of your data after your death. You can exercise these rights by using the “unsubscribe” link contained in the newsletters or by sending a request, together a copy of a signed ID document, by email to service.bandainamcoent.eu or by post to 49-51, rue des Docks, 69258 Lyon Cedex 09. I acknowledge that I have been informed that in case of dispute, I can refer the matter to the Commission Nationale de l’Informatique et des Libertés. Mandatory data are marked with an asterisk. If you do not provide these data, we will not be able to send you the newsletters. Register and join the DEN to become a god eater. Get exclusive access to contest,goodies and make your voice heard. 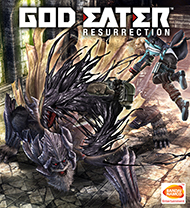 The worldwide God Eater community welcomes you !